Percentages are proportions representing the size of one quantity compared with another. Percentages can represent sale prices, such as 20 percent off, success rates, such as getting 86 percent of questions correct, or parts of a whole, such as the portion of total company sales generated by a salesperson. Percentages also help you make a meaningful comparison when two different data sets have different totals. For example, you can compare how often two batters get a hit using percentages, even though the batters may have different numbers of at-bats and hits. To calculate a percentage with a calculator, you need to know two comparable values. Enter the portion you are converting to a percentage in the calculator. If you are calculating a test grade, you would enter the number of correct answers. For example, if the student got 43 questions right, enter "43." Push the division button on the calculator. The division button is usually represented by "÷." Enter the second quantity, often the total amount, in the calculator. To calculate a test grade, enter the total number of questions on the test. For example, if there were a total of 50 question on the test, enter "50." 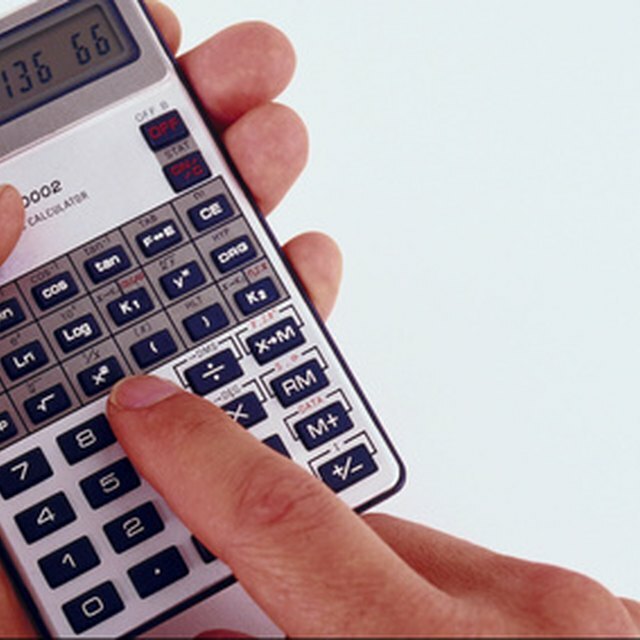 Push the equals button, usually represented by the "=" sign on the calculator, to determine the proportion. For example, if a student got 43 out of 50 questions correct, your answer is .86. Push the multiplication button, usually represented by "×," on the calculator. Enter "100" and push the equals button to convert the proportion to a percentage. For example, 0.86 becomes "86," meaning 43 out of 50 equals 86 percent. Make certain you divide the portion by the total (and not the other way around) for the correct answer. Kennan, Mark. "How to Use a Calculator to Figure Percentage." Sciencing, https://sciencing.com/use-calculator-figure-percentage-5874093.html. 11 May 2018.